Hi-def release of Scott McGehee and David Siegel's cult monochrome thriller. The vast majority of viewers will likely be unable to get past the conceit of black and white actors playing identical brothers - and no doubt if the film were released today it would inspire countless thinkpieces - but ultimately it's really no more than an attention-grabbing gimmick, albeit an effective one. When you're making a movie featuring identical twins or doubles, you always face the challenge of ensuring the audience can tell the characters apart. For their 1993 debut, Suture, writer-directors David Siegel and Scott McGehee came up with a novel solution to this issue. They cast two actors as identical half-brothers who not only didn't bear any physical resemblance, they weren't even of the same race! Vincent Towers (Michael Harris) has just killed his father, and needs to disappear before the police figure out he's the killer. Fortune lands in his lap when he meets his half-brother Clay (Dennis Haysbert) at the old man's funeral. Vincent swaps identities with Clay before attempting to murder him in a car bombing. Clay survives however, waking from a coma with severe amnesia and now presumed by all to be Vincent. Can Clay regain his memory and figure out his true identity before he's framed for his father's murder? 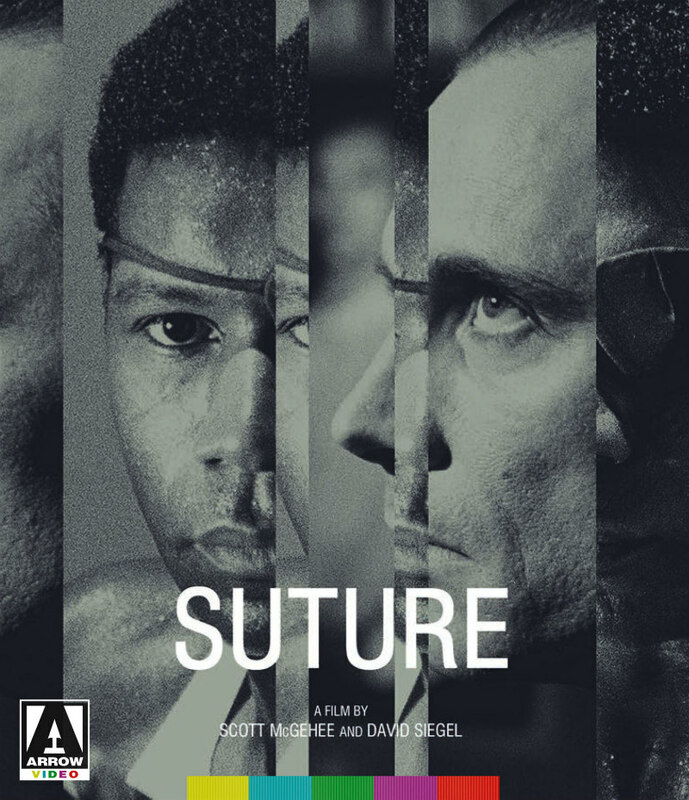 It's a pretty great premise, and Suture is cleverly plotted, but it's a little too infatuated with the mechanics of its plot, neglecting to give us any well defined characters. Clay's romantic relationship with the plastic surgeon (Mel Harris) who rebuilds his face (incorrectly modelling it on video footage and photographs of Vincent) is paperthin, a subplot that fails to satisfyingly explore what should be a fascinating Vertigo-in-reverse setup. The movie is full of allusions to Hitchcock, but it's structured in a manner the master of suspense would frown upon. 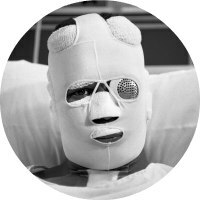 Suture's antagonist, the real Vincent, is absent from the vast majority of the narrative, and we don't see enough of the police investigation to give us an idea of how quickly the net is closing in on the film's innocent protagonist. Imagine a Columbo episode in which the Lieutenant is largely offscreen, along with the would be killer, and you'll have an idea of how this plays out. While it's at times a frustrating misfire, there's plenty to hold your interest here. Haysbert is fantastic in his first major role, an actor who sadly didn't get the career he deserves. The monochrome cinematography is often striking, and McGehee and Siegel direct in the energetic fashion of filmmakers making the most of what may be their first and last work. The vast majority of viewers will likely be unable to get past the conceit of black and white actors playing identical brothers - and no doubt if the film were released today it would inspire countless thinkpieces - but ultimately it's really no more than an attention-grabbing gimmick, albeit an effective one. Writer-directors David Siegel and Scott McGehee provide a commentary, moderated by Steven Soderbergh. There's also a 30 minute making of, deleted scenes, trailers, image gallery and McGehee and Siegel's short film Birds Past.